Moorni Dhokra & Warli Handpainted Boat Shaped Wooden Wall Hanging - EL-002-053: This beautiful Wooden wall decor set in boat shape has been decorated with Warli Art & Dhokra figures is a unique piece for any household. This piece is handcrafted from Mango wood and comes in a set of 2. Beautiful Dhokra figures and Warli art have been intricately handpainted and bells has been attached to the wooden wall decor to accentuate it's beauty. 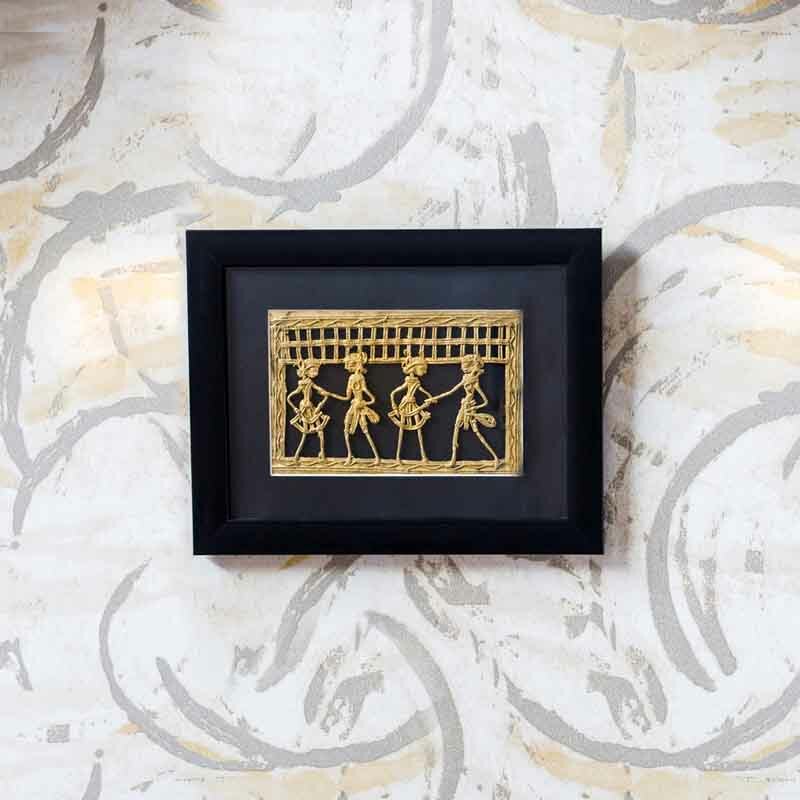 The decor piece is handpainted with brown colour along with warli handpainting done on red patches to enhance it's beauty. 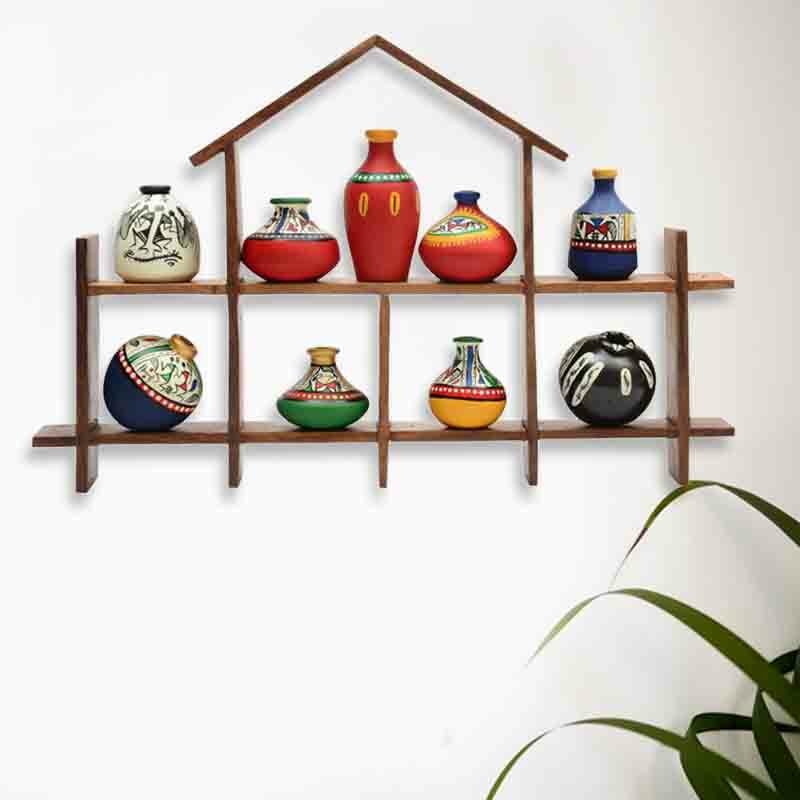 Moorni.com is a best shop to buy Handicrafts, Handmade Products, Home & Garden Decors, Arts, Paintings and Moorni Dhokra & Warli Handpainted Boat Shaped Wooden Wall Hanging - EL-002-053: in Dubai, Abu Dhabi, Sharjah, UAE. Now Shipping to Doha Qatar, KSA - Saudi Arabia, Bahrain, Kuwait, Oman in the GCC and 1 Day Delivery in UAE.